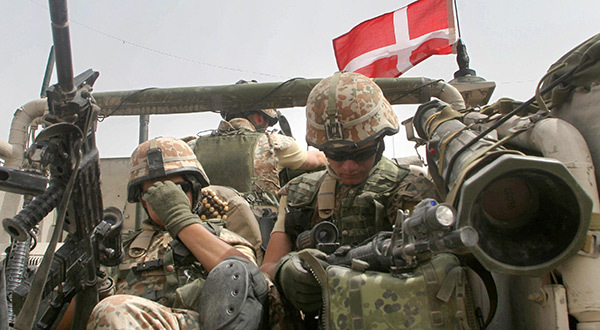 STOCKHOLM: NATO-member Denmark said Thursday its special forces taking part in the US-led coalition against the Islamic State group in Iraq would be withdrawn following the IS defeat. “We have now reached a point where we can begin withdrawing our special forces because (IS) no longer has control over large areas in Iraq,” Danish foreign minister Anders Samuelsen said in a statement. Up to 60 special forces were sent to Iraq in 2016 to train and advise Iraqi soldiers after a vote by the Danish parliament. The forces also took part in operations on the Iraqi-Syrian border, providing intelligence and ad hoc air support. “Their Iraqi partners are now ready to stand on their own two feet,” Danish defence minister Claus Hjort Frederiksen said in the statement. “(IS) have been forced away from virtually all the areas which the terrorist organisation occupied in Iraq,” he added. The Scandinavian nation currently has around 180 troops stationed at the Al-Asad air base near Baghdad, where they have been training Iraqi soldiers and Kurdish security forces.